Ok, let me be honest with you. This manicure was a huge pain. I wasn't very excited to begin with for today's challenge. You'd think color blocking would be my thing, but no, not really. I wanted to do this one "really quickly" which quickly turned into 11:30 at night. I'm over it. But I did get a compliment at work so that was nice. Do you ever feel like the nails you feel meh about get the best response from other people? The nails I love the most get hardly any likes. I have a weird sense of style. I had some trouble getting these to work right. I started with a base color of Intelligence, Integrity, & Courage from the Giver collection by China Glaze. It's a nice soft grey which is pretty much my favorite color besides purple. I painted rectangles of polish onto wax paper in hopes that they'd peel off so I could cut them up for my color blocking. They did not. I started over with a silicone mat and had much better luck. 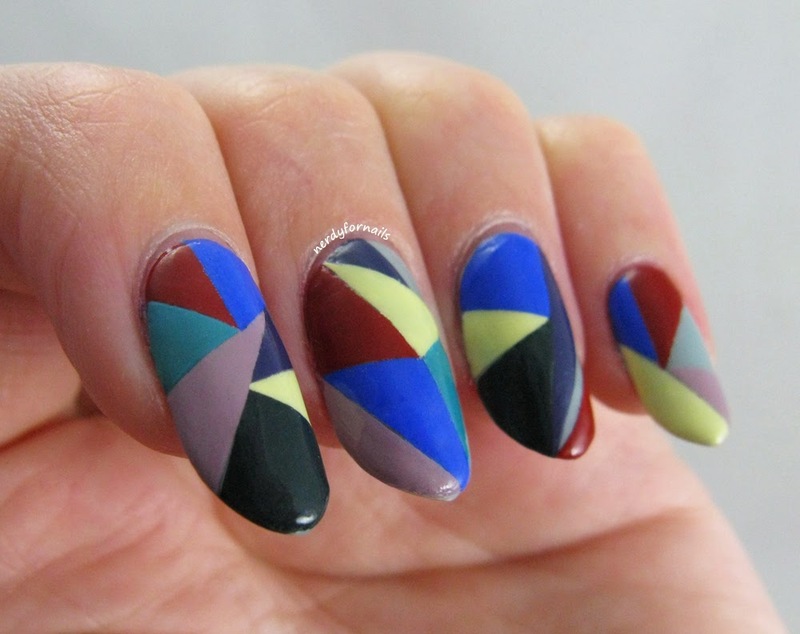 For each of my rectangles I used two coats of polish and then fast dry top coat to help them peel up more easily. I placed the rectangles onto bits of wax paper to give them more substance to cut through and then cut out tons of little triangles. 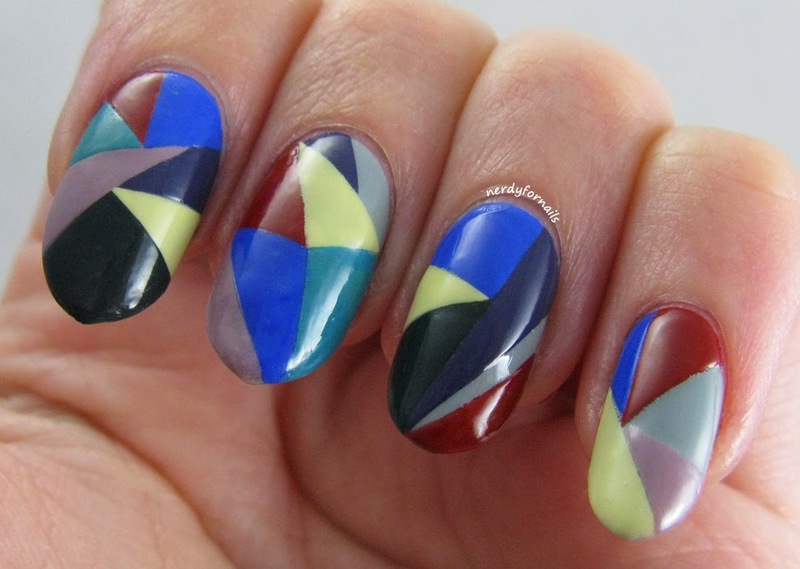 I used base coat to stick the triangles in random patterns to my nails and there ya go. Color blocking with slightly drab colors. It turned out pretty ok.